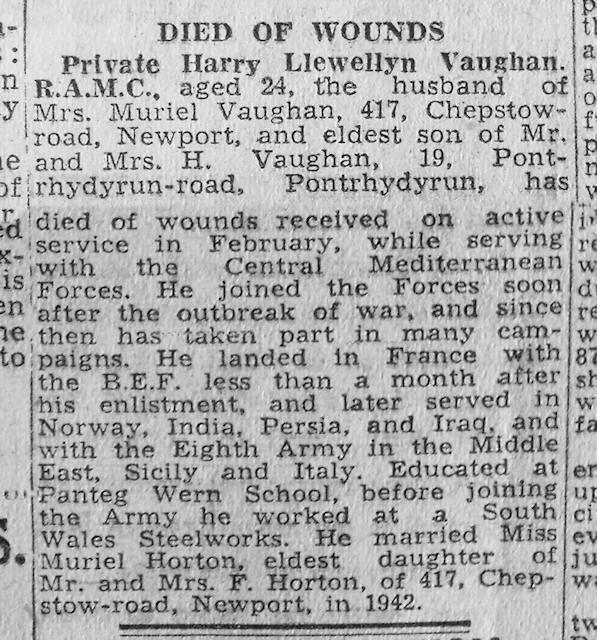 Vaughan, Henry Llewellyn, 24, 27th February 1944, 158 Field Amb., Royal Army Medical Corps, 7359930, Private, Son of Henry Edward and Gladys Vaughan; husband of Muriel Alice Gwyneth Vaughan, of Newport, Monmouthshire, MINTURNO WAR CEMETERY, III, E, 18. Vince, H (J? 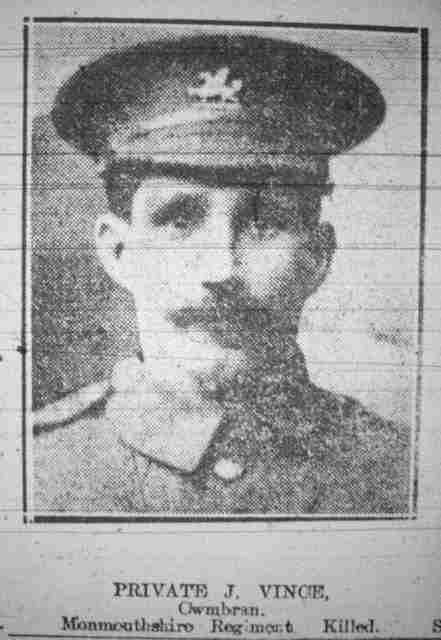 ), 23rd April 1915, 1st Bn. Monmouthshire Regiment, 1530, Bugler, ETRETAT CHURCHYARD, I. A. 11. 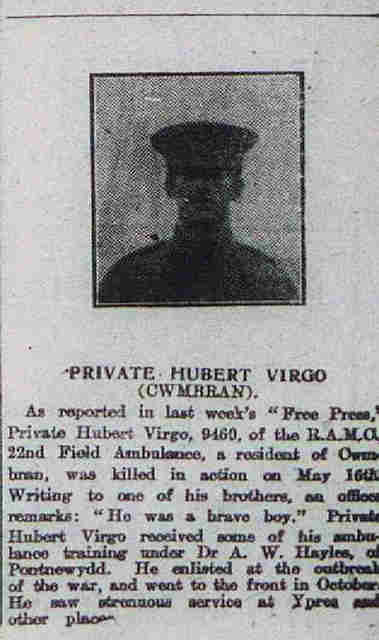 Virgo, Hubert, 21, 16th May 1915, 22nd Field Amb. 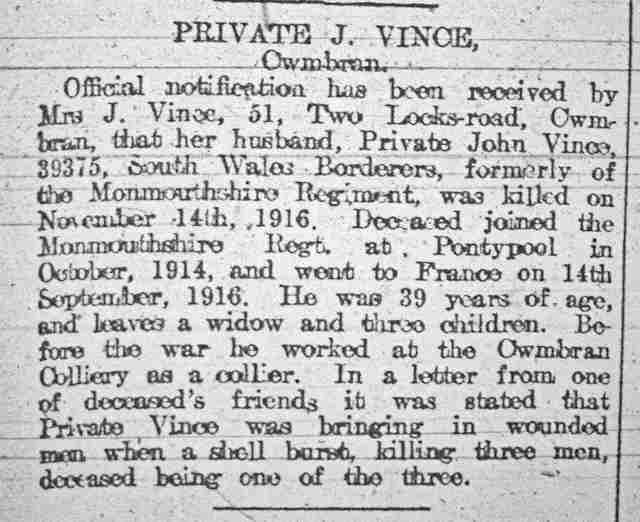 Royal Army Medical Corps., 9460, Private, Son of William and Elizabeth Jane Virgo, of Cwmbran, Mon., LE TOURET MILITARY CEMETERY, RICHEBOURG-L'AVOUE, II. G. 15. 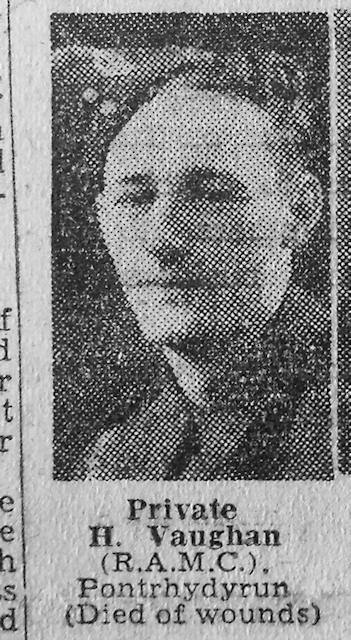 Virgo, Percy, 26, 3rd August 1916, 9th Bn. South Wales Borderers, 14947, Serjeant, Husband of T. Morris (formerly Virgo), of 92, Coronation Rd., Cwmbran, CWMBRAN CEMETERY, B. 6. 9. Vizzard, Richard Colinbourne, 25th April 1915, 2nd Bn. 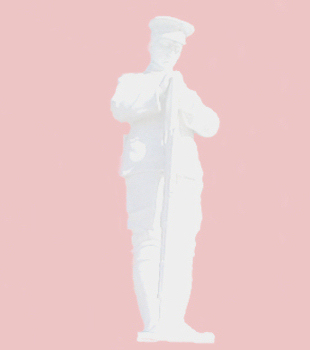 South Wales Borderers, 10628, Private, HELLES MEMORIAL, Panel 80 to 84 or 219 and 220.